Why do 41% of college students quit? You might be surprised . . .
Are U.S. students quitting college en masse because their unprepared, fragile little minds can’t handle cramming college courses between all-night parties and posting on Instagram? Or because they’re so pampered by their helicopter parents that they can’t function without their caregivers meeting their every need? Or because they’re entitled, spoiled, lazy narcissists whose delicate egos can’t handle less than an A? Actually, despite what TIME Magazine, The Atlantic, Business Insider, the Los Angeles Times, NPR, Psychology Today, Forbes, the New York Post, National Review, The Guardian, and others would claim, all the above is far from the truth. 41% of college students quit without finishing their degree. What’s the biggest reason for this? Believe it or not, it’s because they’re poor—so poor, in fact, that their parents and financial aid packages can’t pay enough to free them from the need to work. These students aren’t working so they can afford iPhones, slick cars, restaurants, travel, and party supplies: these students are working to pay for food and housing for themselves and their families. For many of them, the stress of balancing work and school becomes too much. So they quit. They work full-time at lower-wage jobs because the landlord and grocery store won’t accept “I have to pay for school” and an IOU. Sure, that bright future of earning more with a college degree looks shiny and promising (though less promising now than previously), but the cost to get there is just too steep. According to research by Public Agenda (sponsored by the Gates Foundation), just 11% of college dropouts said a “major reason” they quit school was they “didn’t like sitting in class,” and only 14% said it was because “many of the classes were boring” (Johnson 7). By contrast, 71% of college dropouts said they left school because they “needed to go to work and make money”, and 52% said they “just couldn’t afford the tuition and fees” (ibid.). The same source also found these students “were often assuming responsibilities and financial burdens that traditional full-time college students do not have to shoulder,” such as caring for dependent children and family members (6). These conclusions are also supported by Dēmos, a public policy research center, which reported, “Surveys of students who have left college without earning a credential routinely cite employment and finances as the main reasons for student departure” (Orozco 1). Is it truly surprising that the lowest earners can’t afford school, given the enormous increase in college costs? If we really need a citation to say school’s gotten more expensive, citations are widely available. According to the College Board, inflation-adjusted tuition and fees at public four-year institutions have risen 270% over the last 40 years. The Bureau of Labor Statistics found that, from 1978 to 2011 (33 years), tuition rose three and a half times more than the Consumer Price Index and the average hourly wage (Clemmons). In contrast, in the 30 years from 1982 to 2012, inflation-adjusted average family income rose only 16% (WhiteHouse.gov). Furthermore, from 1980 to 2000, the ratio of cost of education to income doubled for the lowest-income families, i.e., those most likely to quit college (National Center 5). According to Paul Campos, law professor and author, the number of administrators in the California State University system grew 221% from 1975 to 2008 (n.p.). And what was the increase in full-time faculty during the same time? Three and a half percent. Colleges and universities are broadly treated as state agencies. In the words of Dr. Lyall, this subjects them to “mandatory participation in state health insurance and pension programs,” and they don’t get to “manage their own capital bonds and building projects” or “their own human resources (hiring and pay) policies” (ibid.). This is repeated by Robert C. Dickeson in a report for the Secretary of Education: “Federal regulations impose additional costs on college budgets . . . as many as 12 different federal agencies impose regulations on colleges, and most of the requirements are neither coordinated nor paid for” (2). Bureaucracy is inherently inefficient, compounding costs of compliance, not to mention requiring ever-growing administrative staffs to keep up with regulations. Rudy Fichtenbaum, professor and president of the American Association of University Professors, pins blame for college costs on many universities that “have borrowed millions to build luxury dorms, new dining halls and rock-climbing walls” as well as “[subsidize] intercollegiate athletics” (ibid.). This compounds the regulatory burden as many of these facilities, including healthcare clinics, daycare centers, sports centers, dining halls, and dorms are all subject to their own sets of laws and reporting requirements. In the face of all these factors, how can we cut the cost of education so our poorer students can stay in school? Cut administrative staff. Or, in the event university presidents and boards of directors aren’t willing to slash their own salaries and support staff, students will have to take action to pressure their schools to cut costs. State and federal governments need to work with schools to coordinate and reduce regulatory demands, treating them less like state agencies and more like businesses. They should be able to make their own bottom-up decisions on pay, benefits, construction, bonds, and maintenance, rather than contort to top-down regulations. Massively-open online courses are already giving first-rate professors the opportunity to reach thousands of students at a time. Courses from venues like Coursera, Udacity, edX, StraighterLine, the Saylor Foundation, and Khan Academy provide highly affordable (or even free) channels for students to learn the fundamentals of a given discipline at their own pace. If colleges want to reduce costs and retain students, they should make agreements with these providers to accept their coursework for credit (as hundreds of schools have already done). Maybe we don’t need more schools with luxury housing and glitzy athletics. Maybe we want more places like the College of the Ozarks, nicknamed “Hard Work U” because students live simply, work on campus, and pay no tuition. There is no easy or single answer to the rising problem of college costs, but while it remains, the poorest (as usual) are the ones most affected. While it persists, it’s not an economic problem, it’s a social problem, and if universities and governments want to get serious about the ideals they preach of liberality and equity, they need to get serious about cutting costs of education, even at the expense of tradition, comfort, administrative jobs, and athletics. Simply put, a school should have willing students, great teachers, and the absolute minimum of everything else. No more luxury campuses, no more administrative bloat, no more fanciest newest everything. The idea of the university is to build the mind: let’s make that the first priority. Belkin, Douglas. “How to Get College Tuition under Control: Three economists debate the causes and possible solutions for the high cost of college.” The Wall Street Journal. 2013. <https://www.wsj.com/articles/SB10001424127887324549004579068992834736138&gt; Retrieved 14 Feb 2017. Campos, Paul. “The Real Reason College Tuition Costs so Much.” The New York Times. 2015. <https://www.nytimes.com/2015/04/05/opinion/sunday/the-real-reason-college-tuition-costs-so-much.html&gt; Retrieved 10 Feb 2017. Clemmons, Courtney. “Weighing the Cost and Value of a College Decision.” U.S. Department of Education. 2013. <https://sites.ed.gov/ous/2013/07/weighing-the-cost-and-value-of-a-college-decision/&gt; Retrieved 10 Feb 2017. College Board. Annual Survey of Colleges. <https://trends.collegeboard.org/college-pricing/figures-tables/tuition-and-fees-and-room-and-board-over-time-1976-77_2016-17-selected-years&gt; Retrieved 10 Feb 2017. Dickeson, Robert. 2006. A National Dialogue: The Secretary of Education’s Commission on the Future of Higher Education, Issue Paper, “Frequently Asked Questions About College Costs.” Washington, D.C.: U.S. Department of Education. <http://www2.ed.gov/about/bdscomm/list/hiedfuture/reports/dickeson2.pdf&gt; Retrieved 14 Feb 2017. Johnson, Jean, et al. With Their Whole Lives Ahead of Them: Myths and Realities About Why So Many Students Fail to Finish College. Public Agenda, 2010. <http://www.publicagenda.org/files/theirwholelivesaheadofthem.pdf&gt; Retrieved 10 Feb 2017. National Center for Public Policy and Higher Education. 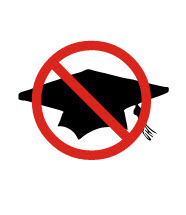 Losing Ground: A National Status Report on the Affordability of American Higher Education. 2002. <http://www.highereducation.org/reports/losing_ground/affordability_report_final.pdf&gt; Retrieved 14 Feb 2017. Orozco, Viany, and Nancy Cauthen. Work Less, Study More, and Succeed: How Financial Supports Can Improve Postsecondary Success. Demos, 2009. <http://www.demos.org/sites/default/files/publications/WorkLessStudyMore_Demos.pdf&gt; Retrieved 10 Feb 2017. WhiteHouse.gov. “An affordable college education is a cornerstone of middle class security.” <https://obamawhitehouse.archives.gov/share/college-affordability&gt; Retrieved 10 Feb 2017. Did you like my essay? Vote for it here!